This is a foreign exchange guide to the Faroe Islands, the Danish Krone currency plus DKK transfers and travel tips. Danish Krone exchange rates - latest & historic exchange rates. What is the Danish Krone currency code and symbol? The three letter currency code for the Danish Krone is DKK and the symbol is kr. Which countries use the Danish Krone? It is the domestic currency in Denmark, Faroe Islands and Greenland. The Danish krone contributes to a little less than 1% of foreign exchange market volume. It is the world’s twentieth most traded currency. The krone is subdivided into 100 øre. Denmark is one of more than twenty nations and territories which currently pegs its currency to the euro. Denmark is the largest nation to do this. Denmark is a member of the European Union but like the UK and Sweden, among other countries, it opted out of adopting the euro upon its introduction in 1999. As part of the ERM II mechanism, the krone is restricted to moves of 2.25% above or below a fixed euro-krone exchange rate of 7.4604. In other words, the euro-krone rate can trade only between 7.2925 and 7.6282, and it is the role of Denmark’s central bank, Danmarks Nationalbanks, to ensure this happens. Since 2004, the EUR/DKK rate has traded well within its allowed boundaries. Several times it ventured above 7.47, but no higher, and its most dramatic fall was only to 7.42. Against the world's reserve currency, the US dollar, the krone was historically strongest in April 2008 when USD/DKK fell to just 4.66. The krone was at its weakest in February 1985 when USD/DKK reached 12.37. Against the dollar, the Danish krone remains weak. At kr6.635 per USD on April-22, the krone is only 2.4 percent away from making a 22-month low. Being pegged to the euro, krone weakness has been driven partly by Brexit uncertainties and has followed recent dovishness from the ECB: with the eurozone economy struggling, the ECB has said it will push back its first interest rate rise in 7 ½ years to 2020 at the earliest. Forecasts: Based on ING’s March forecasts for the euro, the krone is likely to continue to depreciate against USD over the coming months. ANZ has also said that the krone will weaken, most likely to kr6.9 by mid-year. Danske Bank EUR/USD forecasts imply a USD/DKK rate between kr6.45 and kr6.65 at year-end. The interactive chart below shows the USD to DKK exchange rate for the previous 3 months with rate alerts for days when the exchange rate moved up or down significantly or for 30 day highs and lows. The forgotten Faroes are just a short flight from the UK, yet they’re way off the standard traveller’s radar. Adrift in the frothing swells of the north Atlantic, this mysterious 18-piece jigsaw puzzle of islands is at once ancient and very modern. Multicoloured cottages and grass-roofed wooden churches add focus to the grandly stark, treeless moorlands. Timeless networks of cairn-marked footpaths crisscross craggy layer-cake mountains. Streymoy is the biggest island of the group, and home to the capital Tórshavn, as well as dramatic scenery galore and the unmissable bird cliffs of Vestmanna. While the Southern Islands aren't quite so dramatic in terms of landscape, islands like Suðuroy and Skúvoy are appealingly low on tourists and high on friendliness. Currency tips for the Faroe Islands. There are two currencies of equal value in the Faroe Islands: the Faroese króna and the Danish krone. While the Faroese government prints its own bank notes, only Danish coins are used. Danish notes are equally acceptable as Faroese notes throughout the country.There may be a few places in the major towns that accept foreign currency, but this is more likely the exception than the rule, and, unsurprisingly, the exchange rate is rarely favourable. It is possible to withdraw money with Visa, Visa-Dankort, Eurocard, MasterCard, Maestro and JCB from the many ATMs around the country. The ATMs are often found next to bank branches and can be used outside the banks’ normal opening hours. Most shops, restaurants, petrol stations, hotels and taxis accept credit cards, mainly VISA, but other credit cards, such as MasterCard, Eurocard, Maestro and JCB, are also accepted in large stores, shopping centres and restaurants. If you decide to use currency, and you receive change in the form of Faroese notes, (coin is DKK only) get rid of them before you leave, because notes are not traded, anywhere, not even Denmark, other than at the Faroese banks. How to get around in the Faroe Islands? 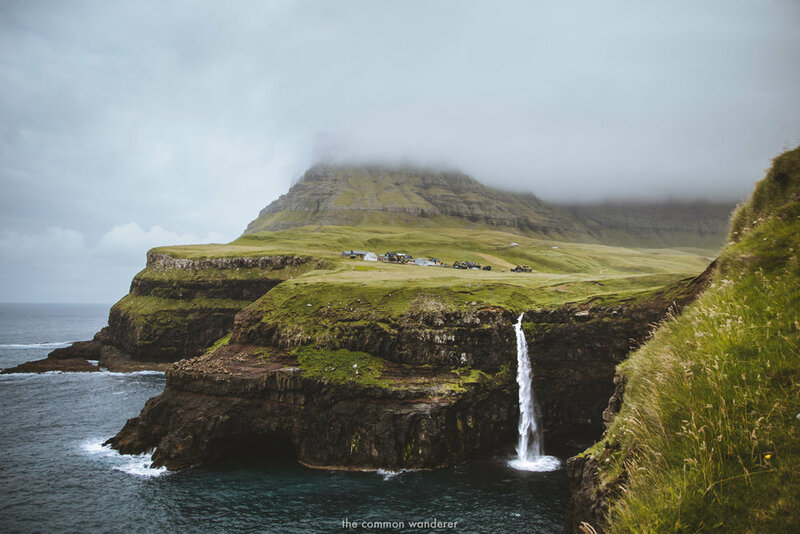 Not only are the Faroe Islands located halfway between Norway and Iceland, they also have a lot in common in matter of natural beauty. Though the 18 islands are part of Denmark they are an autonomous self-governing country. The best way to get to know the islands with its impressive cliffs, bays and mountains is to rent a car and do a road trip through the 5 main islands as those are connected with tunnels and bridges. All the taxis accept cards, the same for the busses or ferries.There are two subsea tunnels in the Faroe Islands, both of which charge a toll payment of DKK 100,- (approximately €13) for a return trip. One subsea tunnel (Vágatunnilin) connects the western island of Vágar (Airport) to the island of Streymoy (capital Tórshavn). The other sub-sea tunnel (Norðoyatunnilin) connects the northern island of Borðoy (Klaksvík) to the island of Eysturoy (Leirvík). You are only charged when driving from Vágar in Vágatunnilin, and driving from Klaksvík in Norðoyatunnilin. All major highways are paved, but some roads, especially to the smaller villages, are still gravel roads. Make sure to navigate these roads with care, as loose gravel can make driving difficult. Motorists are obliged by law to use headlights at all times, day and night. Off-road driving in the Faroe Islands is prohibited by law. Save money and time by Ordering your Danish Krone online from Travelex, you get better rates and can pick up the DKK cash locally or even on travel day at the airport. For card purchases if offered a choice of currencies always select to Pay in Danish Krone otherwise you may get much worst exchange rates. Compare DKK travel cash rates - probably why you are here! When searching around for information on how to get a good exchange rate when sending money to the Faroe Islands you need to start with finding out the latest Danish Krone foreign-transfer exchange rate. 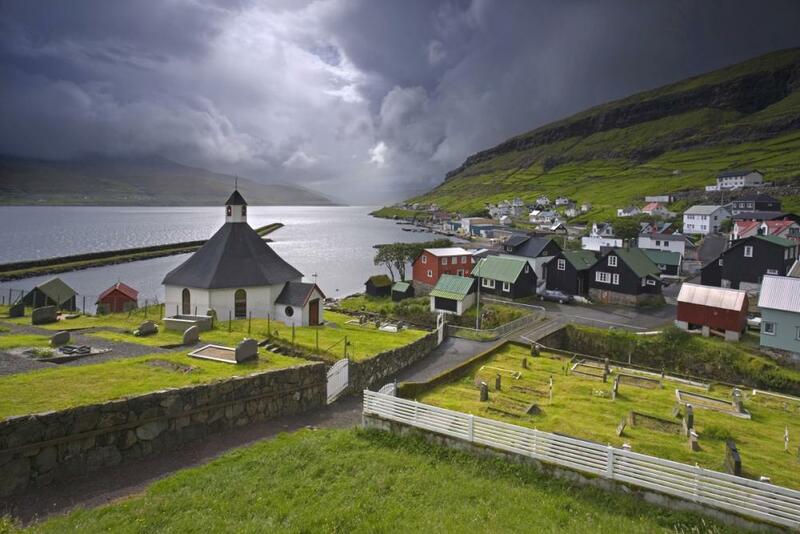 Once your funds are received by the provider the converted DKK amount will be transfered to the recipient account you specify in the Faroe Islands. Use our Send to DKK calculator to compare the exchange rates of FX specialist providers rates versus your bank's standard rates you can hopefully save around 5% and maybe more - end result is more Danish Krone deposited into the recipient bank account and less margins and fees kept by the banks!